NECS® offers a comprehensive solution to the challenges of keeping your drivers trained and compliant with all DOT requirements. We tailor our services to meet your specific needs. 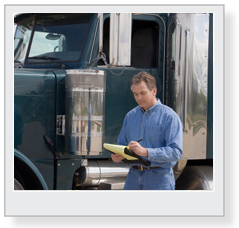 Click on any of these links to learn more: CSA Reporting and Management Services, DOT Compliance, DOT Compliance Consulting & Auditing, Driver Behavior Management, Driver Log Auditing, or Driver Qualification File Management.